A binary options broker who is registered in one European country has the right, under directive MiFID2, to offer their services to any person in any member state of the European Union. This is part of the concept of a single marketplace and freedom of movement. Within Europe binary option trading is legal by default; there is no law which states it is illegal. However, there are very few countries which have specific regulations; Cyprus and the UK are the main two in Europe. For a variety of reasons Cyprus has become the most popular place for businesses trading in binary options to register. This ensures they are regulated and must conform to the regulations provided by the Cypriot Financial Supervisory Authority (CySEC). 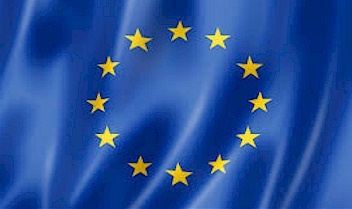 These regulations conform to the financial protocols and standards which all European countries must conform to. Cyprus has become the preferred base as they have a much lower rate of business tax than the UK. Binary options have been available for decades over the counter, i.e. not within the stock exchange. This did make it difficult to find buyers and do trades within specified timeframes. Because of these complications the options started to become part of options contracts, even if the contract was not just for binary options. The market was unregulated and unscrupulous traders and brokers could get away with virtually anything. Fortunately this has all changed and the regulations now protect trader and the broker. In 2012 Cyprus classified binary options as a financial instrument. In the process they were the first country in Europe to create a set of rules and regulations; instantly putting a stop to the large number of dubious operating platforms. One of the biggest problems that traders used to face was the lack of a separate account for client’s funds; making it possible for a company to use any and all funds available to them; whether theirs or not. Cyprus was the first country to do this and started the regulations which today protect traders and investors. Any active platform had to comply within six months and new platforms could not operate until they confirmed they complied with the legislation. This was a marked change for the country, prior to this you simply need a gaming license, after the introduction of these regulations you needed an investment services license. This helps, to ensure brokers offer a fair service and deposits are kept securely. Unfortunately it is still possible for a broker to set up business in an unregistered country and to offer a variety of trades which appear to be genuine. In fact you will be at risk of losing your hard earned funds. It is, therefore, essential to research any broker before you sign up to an account and transfer any funds. If they seem to be extremely pushy, or making offers which seem simply too good to be true, then you are probably dealing with an unregulated broker and it is safer to use a different one which is registered and monitored.